The U.S. Postal Service has yet again failed to make mandatory payments into accounts for its retirees’ pensions and health care, sparking a renewed call for legislative reform aimed at relieving the financial stress on the cash-strapped agency. USPS’ primary obligation is to provide “prompt, reliable and efficient universal postal services,” Postmaster General Megan Brennan said in a letter to Congress this week, forcing the agency to prioritize its spending away from the spending on future employee benefits. It is not the first time the Postal Service has missed its required payments to prefund retirees’ health benefits. From 2012 through 2016, the agency failed to deliver nearly $34 billion toward its pool for retirees’ health care. The 2006 law requiring the prefunding scheduled the lump-sum payments to last 10 years, meaning they expired in 2017. USPS must still make its “normal costs” payments for the retiree health benefits, as well as an amortization of its future liabilities. It is now also facing amortized payments to cover its unfunded liabilities in the Civil Service Retirement System and the Federal Employees Retirement System. All told, USPS must pay out $6.9 billion by Sept. 30. The scheduled end to the lump-sum payments has therefore brought little relief to the Postal Service, Brennan explained. In her letter, which was addressed to the House Oversight and Government Reform Committee, she said the Postal Service would not be delivering that money by the mandatory deadline. “We lack sufficient cash to make these payments in full or in part while ensuring that we can continue to fulfill our primary mission of providing universal postal services to the American people,” Brennan wrote. 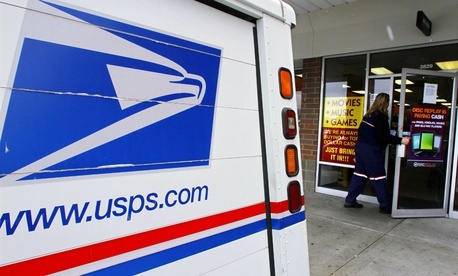 The default, she added, was necessary to avoid “running out of cash” and a “shutdown of postal operations.” Such an outcome would damage postal customers and “wreak irreparable harm on consumer and business confidence in the viability of the mail as a means of commerce and communication,” likely leading to an even more precipitous decline in mail volumes. Volume loss has already begun accelerating, Brennan said, with the declines in last year occurring at a “significantly faster rate” than the previous three years. The Postal Service has just 38 days of operating cash on hand. Brennan said the agency must prepare for an economic recession, which would quickly erode that reserve. The agency’s inability to make its required payments highlights the need for Congress to act, she said. Rep. Elijah Cummings, D-Md., the top Democrat on the oversight committee, echoed that call, noting the bill his panel approved earlier this year with bipartisan support. He called on House Speaker Paul Ryan, R-Wis., to “immediately schedule” a vote on the floor for the measure. The House bill would require postal retirees electing to receive federal health insurance to enroll in Medicare parts A and B as their primary care provider. The bill would phase out the Postal Service’s share of retirees’ Medicare premiums over four years. Most postal employees enrolled in the Federal Employees Health Benefits Program would have to select a plan specific to USPS workers. The Medicare integration would largely solve the issue of prefunding future retirees’ health care. Another provision would create postal-specific assumptions about the demographics of the USPS workforce to prevent possible overpayment into the agency’s Federal Employees Retirement System account. If any surplus were detected after the new formula was established, it would be gradually refunded to the agency. The bill calls for USPS to cut its board of directors from nine Senate-confirmed members to five. The board currently has no confirmed members. It would also clarify the Postal Regulatory Commission’s authority to levy fines against the Postal Service. It would give the PRC until 2018 to review how the pricing structure should be set going forward, a study the regulators are currently undertaking. The measure would compel the PRC to consider factors such as financial stability, customer experience and delivery timelines in making its determinations. The legislation attempts to convert to-the-door delivery to curbside or clustered drop offs and non-bargaining, non-supervisory employees would gain appeal rights with the Merit Systems Protection Board.